February might've been a short month but we had a ton of things in the works, including exciting new functionalities for Notebooks, Google AMP support, and cohort syncing to Iterable. Do you find yourself filtering to look at the same set of users over and over again when creating or editing charts? With Saved Segments, you can easily apply the sets of filters you use frequently, like device type, account plan, cohort, etc. to your analysis. Previously we had the ability to save filters as in our Event Segmentation chart; now you can now apply those Saved Segments to every applicable analysis type. Pro-tip: You can pin a Saved Segment to automatically apply those filters to every new chart you create. Visit our documentation to learn more. Does seasonality affect your users’ engagement with your product? If so, you may find it useful to use time period comparisons to see the impact of your product changes. For example, you could see how your KPIs for this week compare to previous week or to the same week in the previous month. Now, you can also view how those KPIs compare to the same interval in the previous quarter and year. Previously, our customers could do period-over-period analyses in time series visualizations; now, you can also view these reports as bar charts. Visit our documentation to learn more. We know that visualizing product-related OKRs on a quarterly basis is important for many teams. Now you can see time series data on a quarterly basis in Amplitude and executives can easily follow the status of a team’s OKRs live on a dashboard. Not everyone wants a weekly report, especially executives who care about high level OKRs. Customers can now configure email dashboard reports to be delivered on a monthly cadence. Notebooks lets you share the story around your latest experiment, design update, or product launch. Using Markdown, you can easily add rich-text formatting to add polish to your content. Not familiar with Markdown syntax? Customers can now open up a modal to see Markdown shortcuts, without leaving the Notebook they’re creating. You can find more documentation on Notebooks here. Speaking of sprucing up Notebooks, we’ve added several new funtionalities to make it easier to share, discuss, and collaborate around a data story right within Amplitude. Pivot off of existing Notebooks to begin telling your own stories. 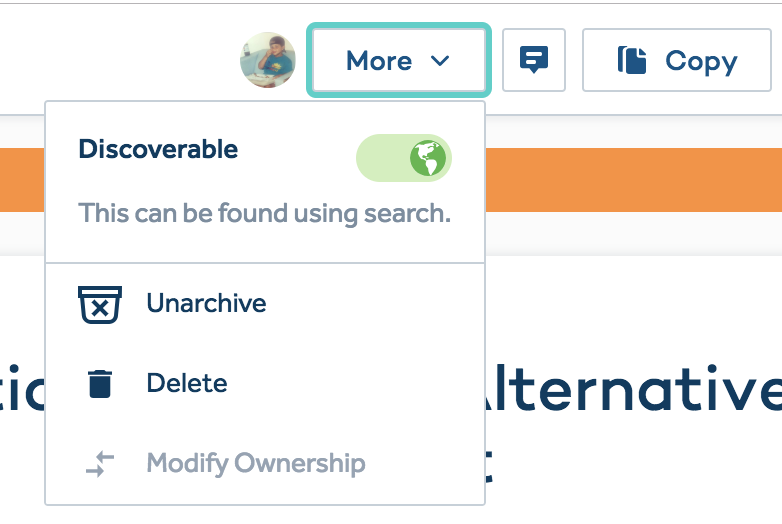 Customers can now duplicate Notebooks that they own or are owned by other users and easily copy things like rich text formatting and images so they don’t have to re-write content. Customers have always been able to comment on charts and dashboards and now they can comment on Notebooks took. Use the new commenting capabilities to ask questions, make recommendations, and provide feedback on a Notebook you’re viewing. Bring the conversation you want to have about the data right into Amplitude. Collaborate with your team to create a great Notebook with co-authoring capabilities. Notebooks can now have multiple owners, allowing more than one user to make edits and share with colleagues. Interested in learning more about how to use Notebooks? Check out our feature spotlight post here! If you’re using Iterable for email and push campaigns, you can now use behavioral data in Amplitude to target your campaigns to specific cohorts without the need for any data pipelining. Keep those cohorts up to date with daily and hourly syncing. Visit our documentation to learn more. Amplitude recently launched support for logging events from AMP Pages. AMP (or Accelerated Mobile Pages) is an open source initiative started by Google that allows web pages to load faster for mobile users. Now you can track user actions on these pages and link them to interactions on your web apps. Find our AMP documentation here.